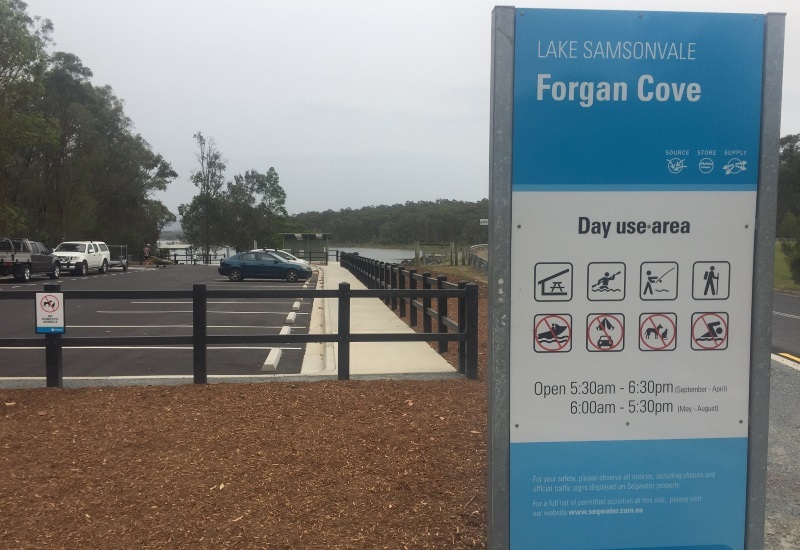 “Initial contact to get a quote was such an easy process, really accommodating with the changes and additions,” explains Adam Mongan, Project Manager of the new canoe launching facility on Lake Samsonvale at Forgan Cove, Cashmere Queensland for SEQ Water. 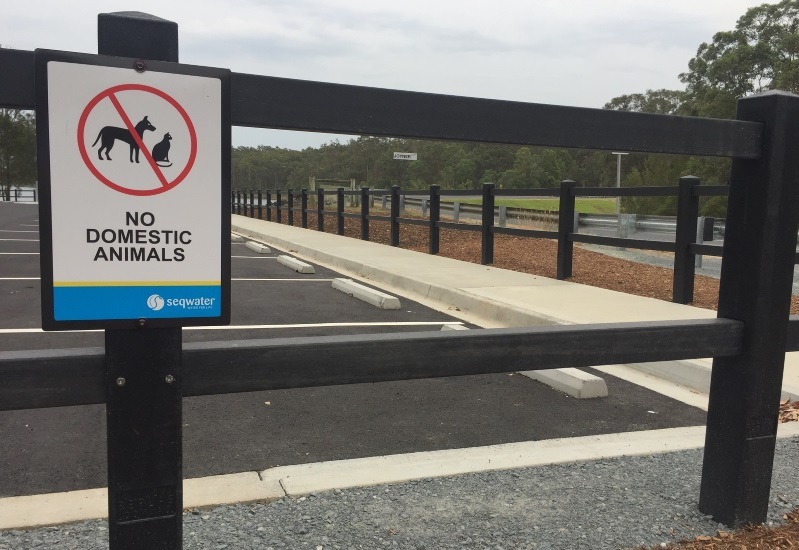 Over 200 metres of recycled plastic post and rail fencing from Replas has been used around the perimetre of the new car park. “Having Darren (SEQ Sales Rep) come to site and explain how the product was made, how it expands/contracts with the change in temperature, how they are moulded and routed in your factory, how to clean the product and how the installation should be conducted made ALL the difference! This information was critical to allow us to install your product to such a high standard and our client was SO happy with the completed project they said it was the best install they have seen,” said Adam. Post and rail fencing comes in traditional black and provides a long lasting and sustainable solution to your fencing needs. In addition to the fence, a bollard has been used to mount the wash-down hose. Dr. Anthony Lynham, Natural Resources, Mines and Energy Minister said, “Get out there. Make use of it. Enjoy the summer. Enjoy the lake.” Adam continued, “phone support was second to none. Your service and sales support should be commended. 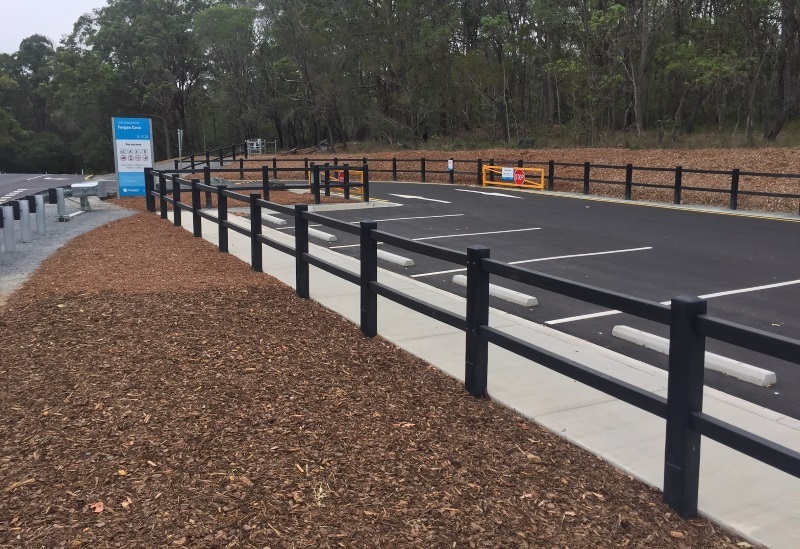 It was an absolute pleasure to work with you guys and your product and my team was thrilled to look back at what we installed as it looks amazing!” Justin Lee from SEQ Water said, “SEQ Water have been working with Replas for many years, trialling various products in an effort to reduce and reuse materials such as the Replas products. 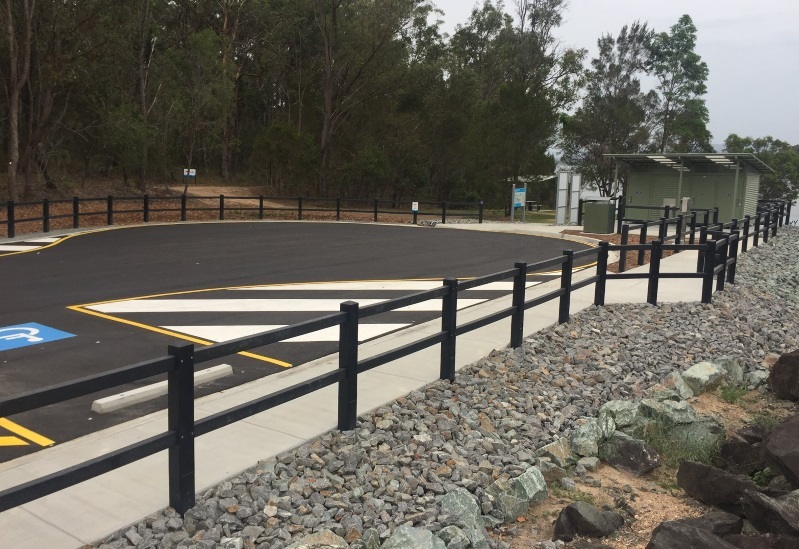 SEQ Water wanted a durable recycled product that looks good and is able to cope with public use. 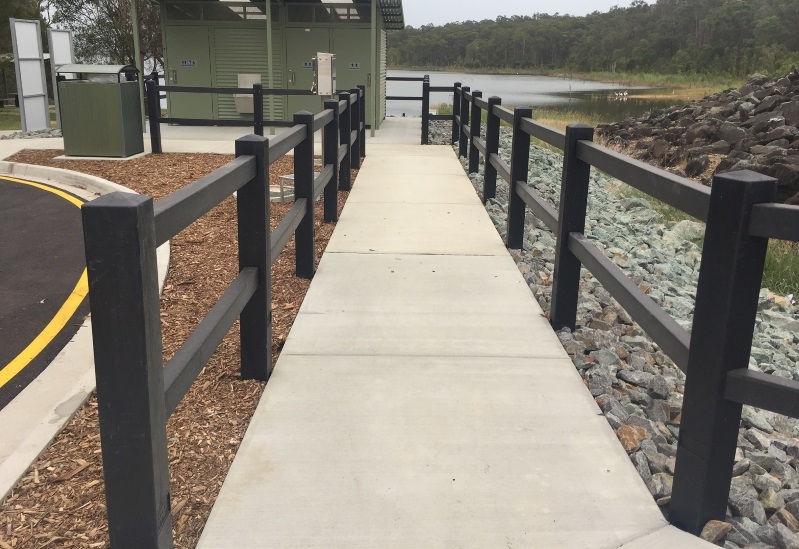 The end result is perfect and there is very little ongoing maintenance which makes it cost effective, safe and resilient to abuse.” An addition to Lake Samsonvale that will last for many years to come for residents and visitors in Cashmere Queensland.